Understand and refine their values. Decide on behaviours or outcomes that are representative of their values. These behaviours are indicators of the uptake of particular values of the organisation. 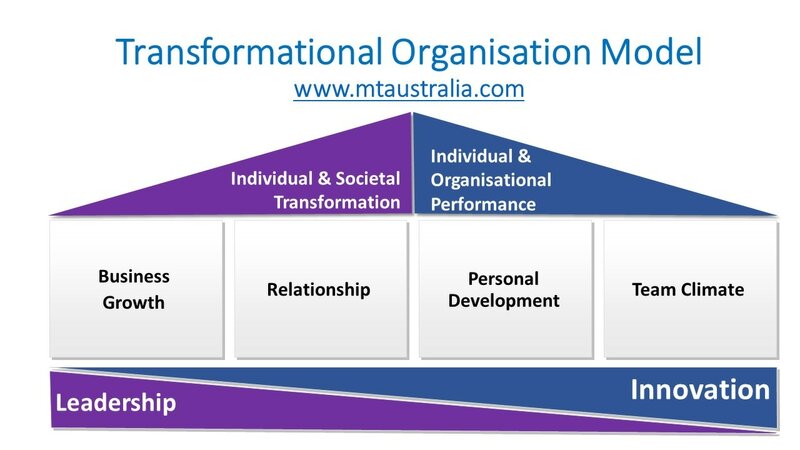 Conduct a values and culture diagnostic across the organisation that measures both the take up of the values and desired behaviours of the organisation. Samples of the graphs associated with this diagnostic are on the right. 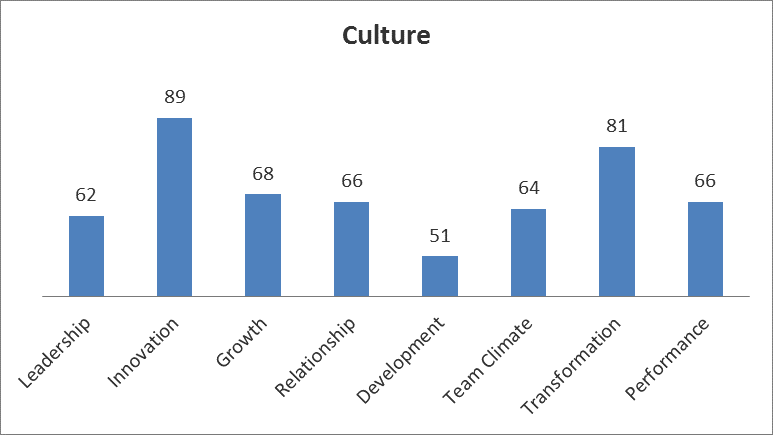 The "culture" graph is the actual behaviour of the organisation, the "values" graph is the importance that the organisation places on the organisation's values. 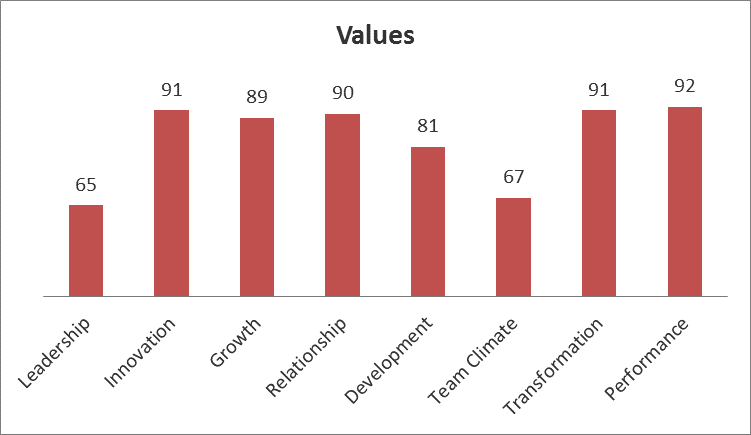 The "values - culture gaps" graph represents the organisation's desire for development.